Automobile Expenses « Bolognese & Co.
A lot of people think that simply keeping their receipts for their automobile expenses makes them deductible for tax purposes. It does not. Like anything that you wish to deduct, automobile expenses need to be tied in with your business somehow. Trucks and heavy equipment can be 100% used for business and in some cases have no upper limits as to the cost of the vehicle that is acceptable. These trucks and heavy equipment can be deducted at 30 or 40 percent per year (only half for the first year). Most passenger vehicles however have a limit of $30,000 that is deductible. The rest of the value is treated as luxury and not deductible. 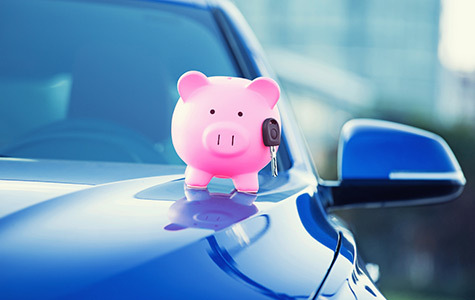 There are two types of automobile expenses; incidental costs such as fuel, insurance and repairs and capital costs such as the cost of the vehicle or cost of any permanent additions to the vehicle. Incidental costs will reduce your net income while capital costs will not. Capital costs will increase the value of your vehicle. The capital cost of the vehicle is the part that is eligible for depreciation over its useful life. In order to tie your vehicle expenses to your business, you need to set up and maintain a vehicle travel log. The log shows the percentage of business use over total use of the vehicle. Set it up in a notebook that you keep in your car. At the beginning of your fiscal year, write down the opening odometer reading. For each business related trip thereafter, write down where you went and the number of kilometres travelled. At the end of the fiscal year, write down the ending odometer reading. Submit this log with your expense receipts to your accountant. Remember, driving to and from work is NOT business use. It is possible to complete your tax return without a log but in most cases where CRA requests the log and you don’t have it, all of your vehicle expenses will be denied. In a proprietorship, there is no need to transfer the vehicle’s ownership to the company because basically, the owner acts on behalf of the company. Automobile expenses are deductible in the percentage proven by the mileage log. All automobile expenses are deductible including depreciation. In a corporation, there are some extra items to pay attention to. If the automobile is not owned by the corporation, then only the incidental costs (fuel, insurance & repairs) will be deductible using the mileage log percentage. In order to deduct depreciation, the vehicle ownership needs to be transferred to the corporation. Make sure that the business use of the vehicle is more than 80% if you choose do transfer the vehicle. When the business use of a corporately owned vehicle is under 80%, there is a “standby charge” that needs to be calculated for the owner’s personal use of the vehicle. This is a value that is added to the shareholder’s personal income tax return. It is a benefit calculated by a formula that is based on the mileage log’s personal kilometers. The $30,000 maximum in deduction for a passenger vehicle still exists, but if the corporation owns the vehicle it is then entitled to deduct depreciation at 30% per year (only half in the first year). Should you purchase or lease? The answer here is always “it depends”. Since leasing a vehicle will always lead to more money paid in the end, if your goal is to save money, purchase the vehicle. If your goal is to have more write-offs then lease the vehicle. The advantages to purchasing a vehicle are as follows: you own the vehicle, the payments increase the equity portion and the payments will eventually stop. Disadvantages to owning the vehicle are: the larger monthly payments that need to be made and you don’t get a new car every three years. The advantages to leasing a vehicle are as follows: you pay a lower monthly fee, you have an option of getting a new car every three years, you get a higher deduction in expenses. The disadvantages of leasing are you never own the vehicle and you will pay more for the vehicle in the long run. If you have any questions regarding automobiles, contact Silvano.